Rated 5 out of 5 by judy76073 from Brazilian Adventure at first, when I started this game, I thought "yikes, what is this?" but I played a bit more and something about it just kind of twigged that this is certainly a game worth playing. I certainly appreciated the comment made about the stuff to collect for the suitcases- I kind of forgot about those items, even though I was not that far into the demo. I have now purchased with a PCC, and will enjoy re-starting from the beginning and keep my eye out for the suitcase collectibles and read more of the story as I go along. Definitely a bit different and will be an enjoyable game to play. Thank you to the developers for this game ! Rated 5 out of 5 by MOUSE8 from VERY DIFFERENT I ALWAYS READ PENMOM'S REVIEWS. I AGREE ON WHAT U SAID. THIS IS ONE OF MY FAVORITE FUN GAMES. HELD MY INTEREST AND A WELCOME VARIETY OF THINGS TO DO. Rated 5 out of 5 by Roosilli from Been waiting for something fresh! I loved this, it has everything, HOS, adventure and a fresh story line. It's a little slow in pace, but I like that, its relaxing. Please can we have more like this? I am fed up of dark Sci-fi monsters! Well done to the devs. Rated 5 out of 5 by lamp_post from Retro Is The Way To Go! This game is at the top of my list for fun games....that also make you think! The story line is good. The HO scenes are like they used to be when HO first came about. The Devs certainly have a sense of humor...it shows through out the game. There is a lot to do and it is fun figuring out what all needs done along with finding the collectables. Perhaps the Dev's are finally getting the message from the players that we do not like all of the "cookie cutter" games. Give this game a try...well worth the price and then some! Rated 5 out of 5 by pennmom36 from AN AMAZING ADVENTURE WITH A FRESH PLOT AND A RETRO VIBE This will be one of those games you'll either hate or love. The devs were clearly thinking outside the box when they came up with this storyline! I truly hope this game does well just to prove to the "big guys" that we're tired of the same ole same ole, and perhaps they'll get the picture and start hiring fresh writers that have a desire to create something new, something amazing, something that doesn't involve entering a portal to another world, a black shadowy mist creature, a kidnapped Princess, a scorned King/Queen, an evil sorcerer or a plague-era beaked mask 17th century evil-doer. Think about it, are there any other plots that don't involve those basic categories? (the answer is not really) You won't see any of those above-mentioned staple HOPA features, but you will encounter mob gang leaders, criminals, and disgraced ex-KGB agents and you will find yourself tangled up in all their criminal activities as a pilot of a 1948 Cessna plane that has seen better days. You will visit exotic places and meet characters with excellent Russian accents, but most of all, you will probably have to use your brain depending on the difficulty mode you choose. 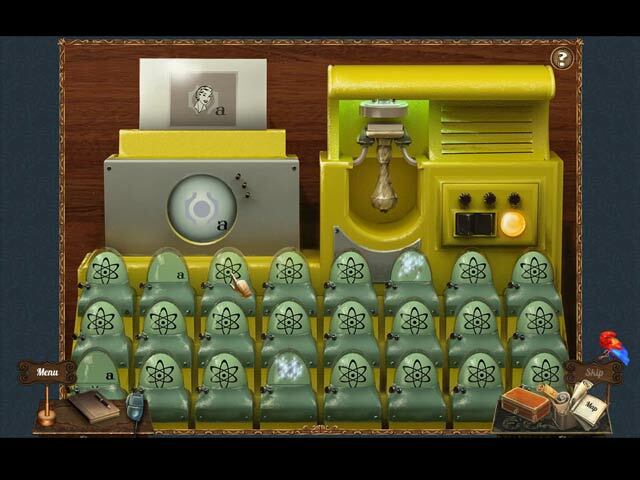 Even though this is a Standard Edition game, every scene has a Collectible within 4 different categories starting with My Flight Case, Igor's Fun Case, Anton's Toiletries, and Sveta's Toiletries. The cursor does NOT change so you will have to figure it out on your own, in fact, I'm still trying to find the collectible in the back room where the phone is located! The Hidden Object Scenes appear to be just Listed Item finds, but this game is designed to be Retro after all. The items do tend to be small, but they have done an excellent job of hiding the items basically in plain sight, which is how it should be! The mini-games are fairly easy at first but progress in difficulty as you get into the swing of things. What I liked the most about this game, other than the interesting storyline, was the fact that the tasks in each scene are different than what we're so used to seeing. There aren't missing emblems, cobwebs to remove, items in a sewer drain or held for ransom by a bird or squirrel. 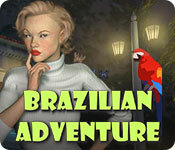 Brazilian Adventure is just that, a Brazilian Adventure with a retro vibe. It won't sweep you off your feet of blow you out of your computer chair, but it is clearly a unique game and totally worthy of using a coupon and in my opinion totally worthy of the Standard Edition price tag, enjoy your flight! Rated 4 out of 5 by yowzasma from I Don't Really Know What To Say : / I got this Game both for the title and the game description by pennmom36 for one. The graphics, sound, music, storyline, & 'helper' were pretty good for retro style. The gameplay was definitely "Retro" and I both loved it and sometimes barely liked it (the Macaw ) was a cute distraction) After I gave up trying to not use hints the enjoyment started. The hint many times led to a pop-up saying look at the map and even that was not too bad in this case.. 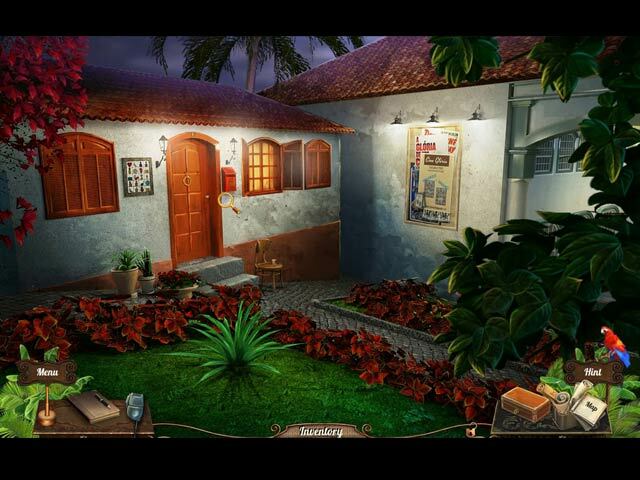 Some of the items were teeny-tiny but this is a Hidden Object game and part of playing this genre is the challenge of finding the objects.....and when the game seemed ti 'think' I as taking too long little 'snarky wise-cracks would pop-up. Anyway. why not give this one a try if you would like something different , you may or may not like it & as I said, I had mixed feelings until I decided it would not crush my ego if I used HINTS ; ) I did not run into any 'bugs' playing on Win. 10 os. I'm giving this one a 4 out of 5 on my personal enjoy-ability scale and not going to recommend or not recommend on this one because I really think it needs to be tried by the player to see if they find it tempting. Rated 4 out of 5 by lilyr from What a pleasant sueprise! I always check to see if there is a soft release. If so I read the reviews There are times when I want an old style HOPA-- a game that I can play a bit at a time. (although i might play this straight through). I always want a skip button for puzzles. I still don't know if this has one, but I did find a walk through, so I'll be buying this game. Rated 3 out of 5 by LunaNik from Old school, but some redeeming features. Brazilian Adventure reads like an old school HOG. While the HO scenes are all straight lists, they are well-designed and not completed quickly. Exploration consists of looking for inventory items to overcome obstacles to your goal. The storyline seems a bit confused. The opening cutscene involves an oligarch escaping the Russian Revolution for a new life in Brazil. Then, suddenly, we're in the 1950s, fixing our broken airplane MacGyver-style because our passenger refused to pay. Meanwhile, a KGB agent wanted by Interpol demands we fly him to his destination. Combine all that with the game description, which adds in tragic lovers, a rightful heiress, and a scheming villain, and it's hard to tell where this plot is going. The graphics seem a touch outdated, but the scenes do evoke a retro flavor. The music is oddly lighthearted, and the voiceovers have over-the-top accents. Character animation is nonexistent; each character maintains an unnatural body position. For example, the spy's moll is clearly trying to be seductive, but she appears to have several broken ribs immobilizing her. It's a bit odd. While this is a SE, there are four categories of collectibles…a nice bonus. And there is an interactive map that transports. Honestly, I don't know what to make of this game, so I suggest you try the demo for yourself. I'll wait for "completed game" reviews before making up my mind. Rated 2 out of 5 by PUZZLED_CA from Need a magnifier and ESP for the HOPs Based on Trial I was intrigued by the setting and found the story line interesting, but was really frustrated by the HOPs. Some of the items were teensy-tiny, others had confusing names. For instance, you're looking in a box of with lots of metal objects and are asked to find a metal pipe -- there are about 6 candidates -- and a "metal plate" which turned out to be a sign. There is no alternative game or skip option. If you start clicking randomly (did I say I got frustrated?! ), previously found items become unfound. I had to resort to using the parrot/hinter repeatedly. Not worth the effort.. Rated 2 out of 5 by Pickles77 from I must be playing a different game :( I am sorry to say that I don't like this game at all....I was rather surprised to see such high ratings...not my cup of tea whatsoever...I find everything so small and I especially hate being told to check the map!!! I don't even like the hidden object scenes, and that is very unusual for me....too bad...I love straight hidden object games, like Road Trip USA but this one, I will pass....those of you that love it, enjoy!!! Rated 1 out of 5 by Bumbles2 from I want to say that I love it but I'd be lying if I did !!! Extremely rare I give a game only 1 star...I'm saddened that I did because I know how much effort goes into the creation of these games !!! I purchased this game and I've found that it was a big mistake !!! I read all the reviews on this game and noticed that the majority of players gave it 5 stars with some great remarks !!! Sadly I purchased it due to the very high review ratings !!! First of all the items in the hidden objects are so tiny that I had a difficult time spotting them...second of all the little parrot pointed at a some spots to explore and for the life of me I just couldn't see them !!! Me thinks he might be broken or he lost a few feathers on a previous mission...LOL !!! Anyways I only played for about 30 minutes or so and by that time I had to quit because I was extremely frustrated...normally I can work through the problem areas but unfortunately and sad to say it didn't happen this time !!! Give the Demo a try...you might like it !!! Have a great day all !!! Rated 1 out of 5 by Yurnmesis from Mistake! Don't Always Trust 4 star Reviews. First read the lowest ratings! Purchased this because I had an extra credit and it had a 4 star rating and I was in a hurry. Should have done a trial run on it. I lasted less than 10 minutes playing the poorly crafted game and now writing a review. The characters are terrible, wooden and with horrid animation and accents. The music is annoying and repetitious. The hint directs you to the map. It's just outdated, boring and it's going directly to uninstall because I'm not going to waste my time on a game that I don't even know how it made it into Big Fish offering or how it got a 4 star rating? Test run it before you purchase! Rated 1 out of 5 by Quickie from No vibes for me Absolutely hated this. No rhyme or reason to the HO puzzles and even within them difficult to find items. No real help if you're not in the right place; only a "use the map." Not sure if the update helped or hindered. Glad I used a code. Rated 1 out of 5 by Ndwelt from Geeze Louise I read some great reviews and was thinking How did I miss this game? I can only say OMG! I thought at the outset that this reminds me of a Harrison Ford type movie. I got 5 minutes into it and had to delete. So sorry. Wanted to love it but just couldn't! Rated 1 out of 5 by planetankh from Poor flow-Not Cohesive All the tasks in this game seemed randomly placed. There was no real logic or sense as to purpose, sequence or location of tasks. You were here & there & all over the place. 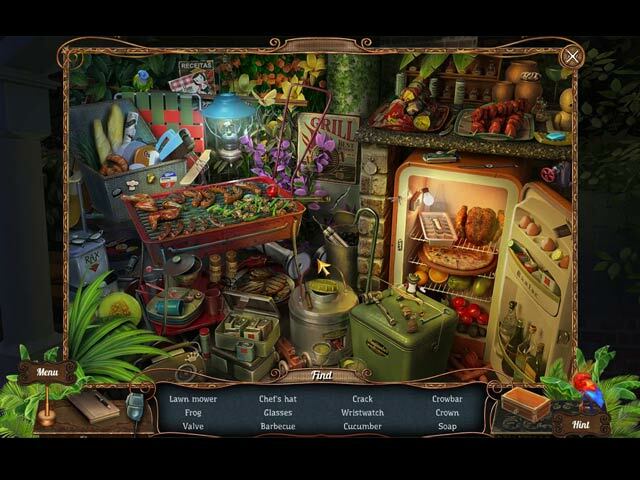 Hidden object graphics are terrible-items were ridiculously small & poorly named, Slow paced. I found the game frustrating & annoying. Tried to give it a chance but played about 40 min of demo & had enough.